Five Decades of Thyroid Treatment: An Interview With Richard Shames, M.D. Richard Shames, M.D., is a California-based holistic physician and graduate of Harvard and the University of Pennsylvania. 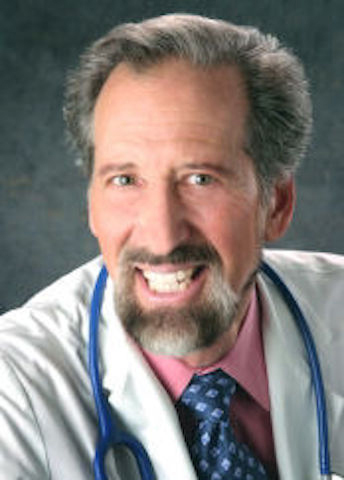 A founding member of the American Holistic Medical Association, Dr. Shames has been involved in medicine for five decades, including more than 30 years of private practice. Dr. Shames — along with his wife, Karilee Shames, R.N., Ph.D. — is the co-author of several pioneering and popular books on thyroid disease, including “Thyroid Power,” “Fat, Fuzzy, and Frazzled,” and “Thyroid Mind Power.” We had an opportunity to connect with Dr. Shames by email to look back at changes in thyroid diagnosis and treatment in the half-century since he entered the field of medicine. 1. When you first started in medicine, what was hypothyroidism treatment like? During my training in the late 1960s, low thyroid and goiters were quite common. At that time, doctors were still using for diagnosis an old test called the PBI (protein-bound iodine). Everyone knew that it was not very accurate, so we were taught to rely on the patient history and physical exam instead. Also, we used a sophisticated test to measure ankle reflexes, called the photomotogram Achilles reflex test. This consisted of the patient sitting on a machine that mechanically tapped the Achilles tendon with a rubber hammer, with the resulting toe movement printed out as a curve on cardiogram paper. A long, low, lazy curve meant hypothyroidism. Treatment was with levothyroxine (synthetic T4) or liothyronine (synthetic T3), with the choice between the two left up to clinical judgment. These were the days when proper intervention was thought to best consist of finding just the right one medicine that would do the best job. I did not learn about the possibility of using natural desiccated thyroid until well after my medical training. In the hospitals and medical centers, the newer synthetic medicines were considered much better than the previously successful, but arcane and archaic animal gland medicines. 2. What is the one most important difference about how hypothyroidism is treated now, compared to when you first became a doctor? A crucial difference now is the doctors' total reliance on lab tests to make a diagnosis or to direct the course of treatment. Our presumed ability to accurately diagnose the severity of thyroid disease by blood levels has encouraged physicians to treat the laboratory data instead of the patient. Consequently, a tremendous amount of good patient care has been lost. Even though blood testing has improved, that doesn’t mean that it is in any way superior to a careful history and good physical exam. In fact, recent thyroid research studies underscore the limitations of relying solely on TSH testing, whether for initial diagnosis, choice and timing of intervention, or ongoing treatment adjustments. A close runner-up in importance is the difference in choosing a treatment. It is supremely unfortunate that most doctors now consider levothyroxine alone as the only and best treatment for hypothyroidism. This short-sighted, inaccurate view is continuing to cause untold harm to a significant percentage of thyroid patients, as it overlooks liothyronine (T3) and natural desiccated thyroid. 3. Today’s hypothyroidism patient has much more access to information — some good, some questionable. In your opinion, how does this impact the current climate of thyroid treatment? The increased availability of information — and hopefully much of it good — is a blessing for improving the climate of thyroid treatment. I feel it is especially useful for patients to share their treatment experiences with each other, as well as their assessment of particular thyroid practitioners. It is just this kind of open sharing that will engender more of the truth to come out. I encourage everyone to share their knowledge and their treatment results, both good and bad. I'd like to see more and more patient-led thyroid recovery groups and evidence-examining forums and discussions. Eventually, this huge amount of feedback makes its way to the practitioners who need to hear it most. 4. What is your advice to younger doctors about how to truly help their patients with hypothyroidism? I strongly advise my younger colleagues to listen to their patients carefully and strive to hear what they are saying, rather than depending on seemingly accurate but often questionable lab test results. Yes, the new lab tests may give an accurate account of how much thyroxine (T4), triiodothyronine (T3), and thyroid stimulating hormone (TSH) are in the bloodstream, but that's not what you want to know. What's truly important is how much thyroid hormone is inside each cell. No current lab tests reveal this more important information. Some of it is available from the physical exam in terms of reflexes, temperatures, pulses, pressures, heart sounds, and teeth indentations on the tongue. But most of it is available in terms of the patient's symptoms...what they are experiencing every day. 5. If there was one thing you could change about how hypothyroidism is diagnosed and treated, what would it be? I would most of all like to see thyroid diagnosis and treatment become more multifaceted. There are many pathways to better diagnosis that are presently being underutilized. There are thyroid treatments that are currently being avoided for no good reason. And all the while, patients — caught in this suboptimal diagnostic and treatment environment — are told: "Well, this is as good as it gets." I am here to tell you that it could and should get a whole lot better. Dr. Richard Shames provides telephone and office thyroid and hormonal health coaching sessions from an integrative medical perspective. For more information on Dr. Shames' books and consultation services, visit his site, http://www.ThyroidPower.com. Is Your Thyroid in the Normal Range, But Not Optimal?